Its good to see that the NSC are focusing on things that are important for setting a foundation for space commerce rather than going for some photo-op goal that NASA will never achieve. The photo-op goals seem to be all to satisfy Congress’ needs to be able to slosh money into their districts, but it *seems* that Trump, through Pence, may be actually demanding work toward real change in structure from his Space Council, if this sort of thing keeps up. In the Politico-Space vid Scott Pace said that one of the most terrifying things to find out in starting up a new job is that your Boss is *enthusiastic*. Well Scott’s adrenaline may be getting a workout for the next 7 years. 🙂 Now I just want to know where and when we get a “Space Guard” to handle the civilian/commercial side of Space, since it seems that the military side is locked and loaded for big changes. 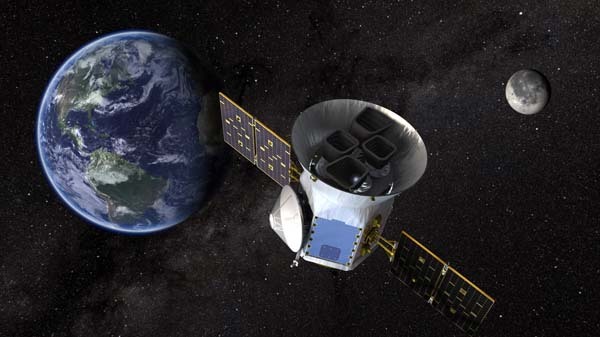 TESS is what NASA calls a Discovery Mission. TESS is a true discovery mission. That is all it does. It looks at a patch of stars for 27 days. It then dumps all that data into an archive. Anybody or robot can look at the data and look for light dips. So choose a or all stars and find an exo-planet . Report it where ever you want. Like here on Parabolic Arc. Unless you have telescope time though you can not prove that you have found a planet. There will be so many finds, it will be many years before all are checked out. Red Dwarf stars will be the only stars where new Earths may be found, since it is only 27 days looking. A lot of close in gas giants can be found around other Suns, but who cares? This mission will weed out stars that does not have dips, so if you are looking for planets, don’t worry about that star.